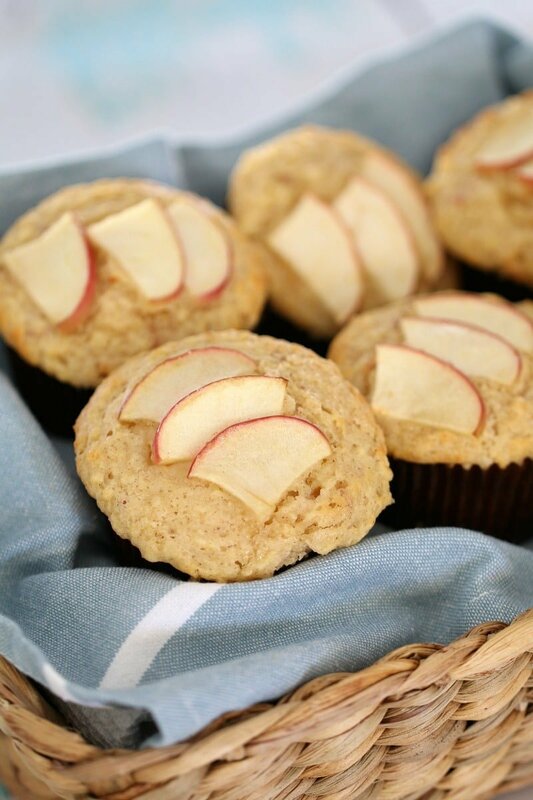 Moist and super delicious… these easy Apple & Cinnamon Muffins are sure to be a winner with the whole family! Pop them into your little ones lunch boxes or simply enjoy one with an afternoon cuppa. 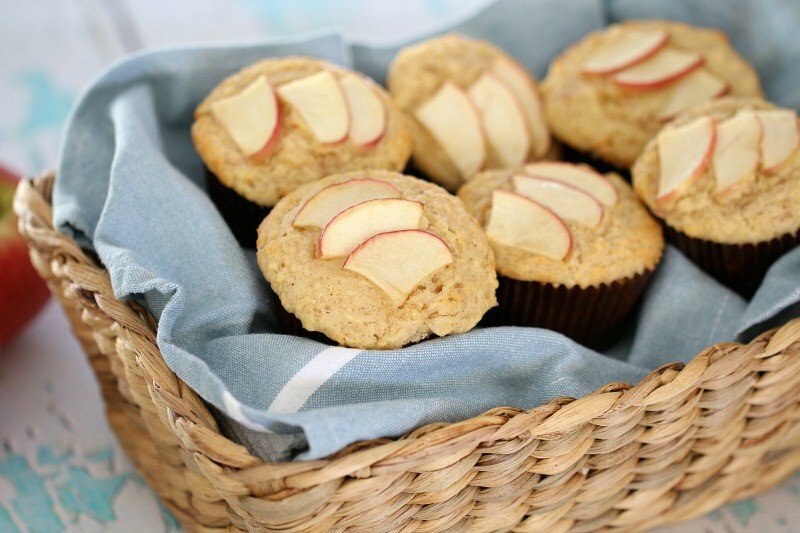 You know how sometimes you just need a really easy and really yummy muffin recipe? 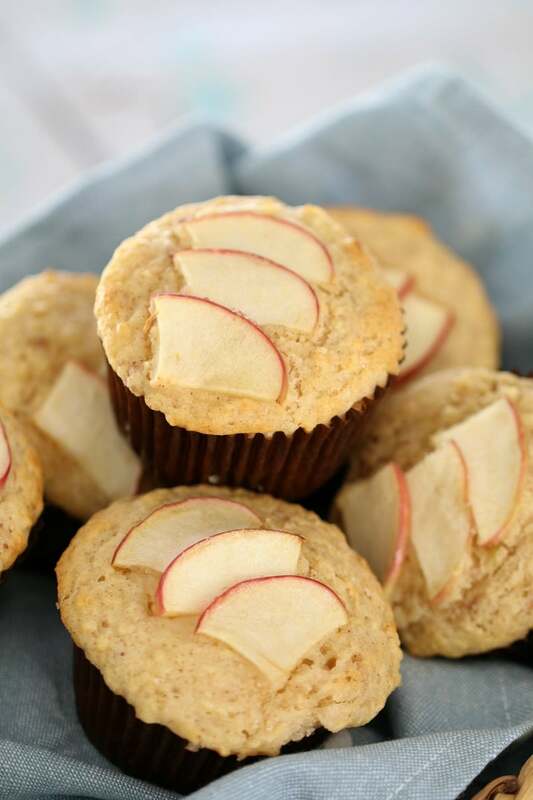 Well these Apple & Cinnamon Muffins are the answer to all your muffin dilemmas. These are seriously moist muffins. I’m telling you – there’s no dryness happening whatsoever. Nope, just deliciously moist muffins all round. And that is perfection when it comes to muffins! 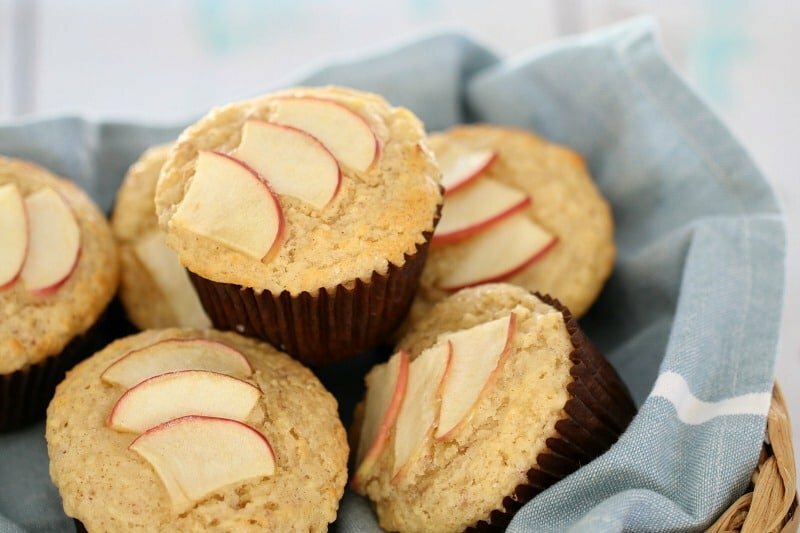 So why are these muffins so darn good? Well first of all, the grated apple gives them a beautiful flavour BUT it also keeps them deliciously soft and moist. Did I mention how moist they are? PLUS they’re made with buttermilk – which really is the key to yummy muffins. 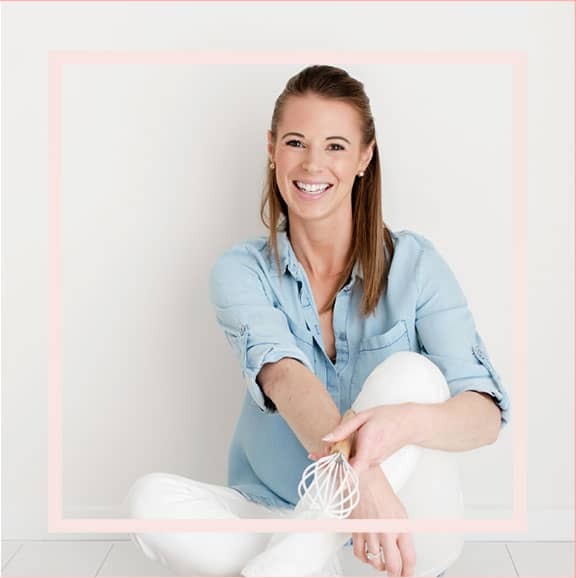 But don’t worry if you don’t have any buttermilk lying around (and can’t be bothered making a trip to the supermarket)… simply add 1 tablespoon of lemon juice or vinegar to a cup of plain milk, give it a stir and leave for a few minutes. Yep, it really is that easy to make your own buttermilk. 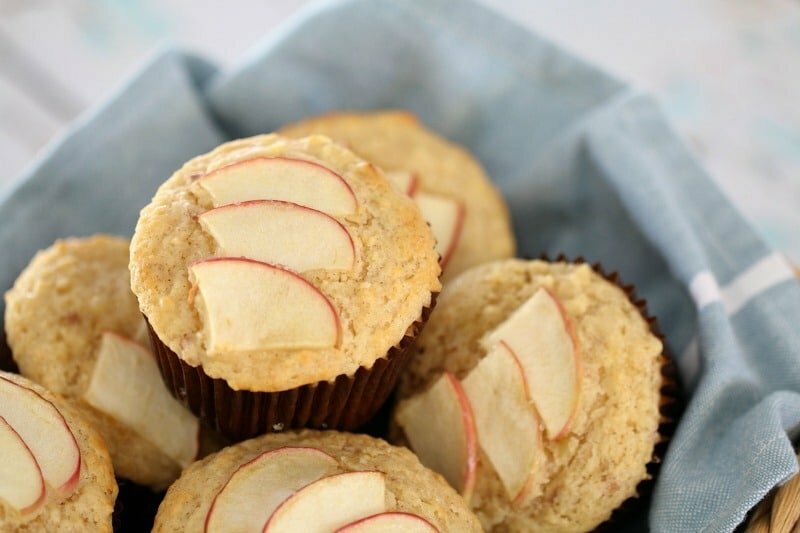 I like to add a few extra slices of apple on top of the muffins. Not only does this make them look super pretty… it also reminds me of which muffin flavour they are if I freeze them. Oh yep! You can totally freeze these babies! Just wrap them in plastic wrap and place them into an airtight container for up to 3 months. When you feel the muffin urge calling, simply grab one out and allow it to defrost (either on the bench or in the microwave). These also make the perfect lunchbox treat. I’ve never known a little one not to love this classic muffin recipe – and that’s really saying something! 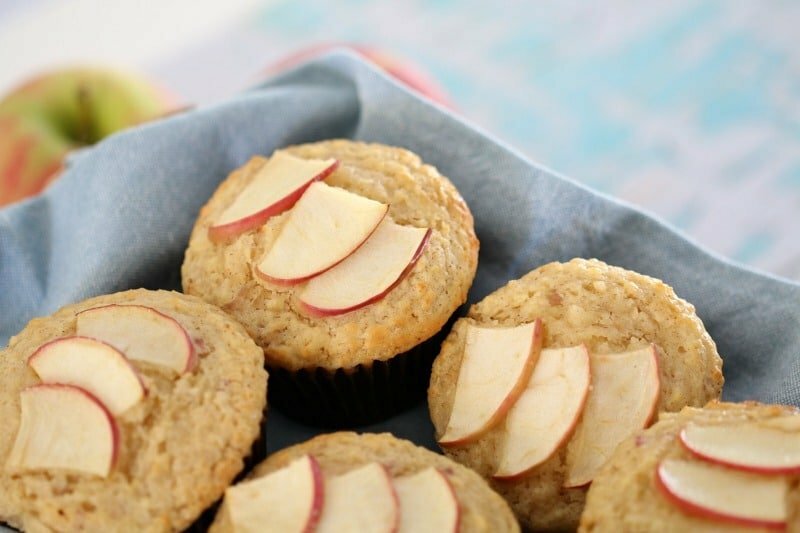 If you love the sound of these Apple & Cinnamon Muffins, but feel like something a little naughtier, check out my Apple Crumble Muffins (you should totally serve them warm with a big scoop of vanilla ice-cream!!). 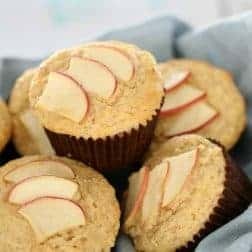 Moist and super delicious... these easy Apple & Cinnamon Muffins are sure to be a winner with the whole family! Pop them into your little ones lunch boxes or simply enjoy one with an afternoon cuppa. Place 12 muffin liners into a 12-hole muffin tray and set aside. Sift the self raising flour, baking powder and ground cinnamon into a large bowl. Add the caster sugar and stir to combine. Create a well in the centre of the dry ingredients. Grate 2 apples and place it into the well. Whisk the eggs, buttermilk and vegetable oil in a bowl and pour on top of the apple. Fold together gently (don't worry if there are still a few lumps - be careful not to over-mix or your muffins will be dense). Spoon the mixture into the prepared cases (filling 2/3 of the way to the top). Decorate with thin apple slices and a sprinkle of raw sugar. Cook for 20-25 minutes or until a skewer inserted into the middle comes out clean. Allow to cool in the tray for 5 minutes before transferring onto a wire rack to cool completely. Store muffins in an airtight container. 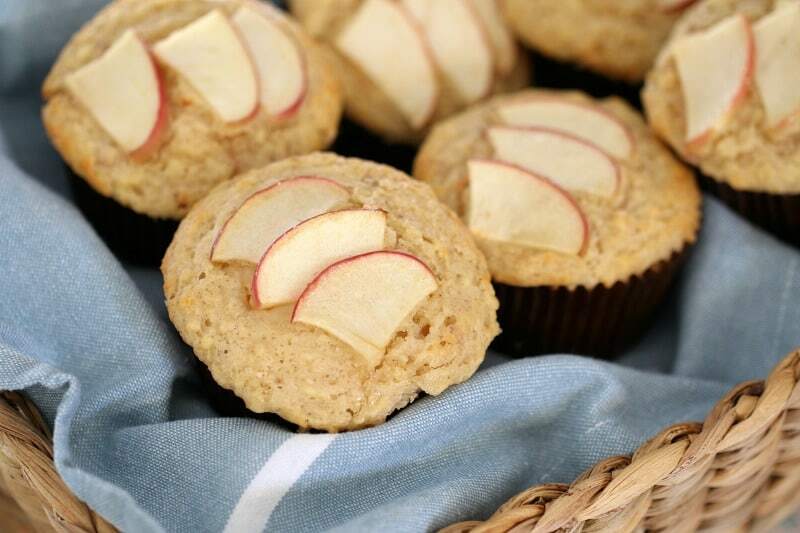 These muffins can be frozen in an airtight container for up to 3 months. Place the chopped apples into the TM bowl. Chop on Turbo for 5 seconds or until finely chopped. Place the eggs, buttermilk and vegetable oil into the TM bowl. Mix on Speed 4, 20 seconds. Add the grated apple self raising flour, baking powder, ground cinnamon, and caster sugar and mix on Speed 4 for 5 seconds (check the mixture - it should still be a little lumpy). Scrape down the sides of the bowl and mix for a further 2-3 seconds, Speed 4. Decorate with the thin apple slices and sprinkle over a little raw sugar. Love this recipe. I found the batter went a long way, made 12 big muffins and 12 mini muffins. Is there any chance you can put the sugar component of the recipe in cup measurements instead of grams please? Yay! I’m so glad you enjoyed them! Thanks for your feedback about the measurements. I used to always do cups but then would always get requests for grams!!! I do also find that grams is far more accurate as it’s easy to over or under measure in a cup! Another yummy recipe that we all enjoyed, and so easy to make. Thank you for the buttermilk tip too – very good to know!